I came to NTU for an open day and everything felt right for me, from the facilities to the course content. What attracted you to study at NTU? "I took a property management diploma in Brunei, Borneo. I knew that the Government would then sponsor me to come for further study in the UK as long as I got good grades, so I looked for suitable course and settled for a HND in property construction at Salford. I came to NTU for an open day and everything felt right for me, from the facilities to the course content. I knew one student that was already studying here and they gave me lots of useful information. What is the best thing about studying at NTU? 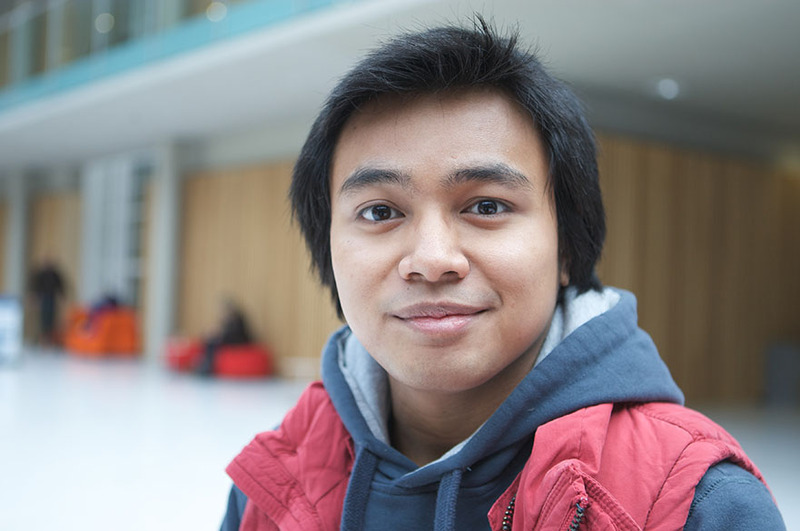 "I think that one of the best things about NTU is that the students are really friendly and help each other out. We all want to succeed and want each other to succeed. The tutors are also really supportive and on top of that they are industry experts. We learn theory from people experienced in the industry with practical knowledge. What advice would you give to an international student thinking about coming to NTU? "My advice for any student thinking about coming to NTU is go for it. Check the website as it's full of useful information and take a look at the societies you can join and other things you can do outside your studies. These can be stressful at times but when you finally get things done it is rewarding. Never think twice about putting NTU as your first choice. "When I graduate I'm going to become a property valuer under the Royal Institute of Chartered Surveyors. I will be able to get a job back home hopefully through the Government and will do my APC at the same time."